Ransomware – it is the new way of making money via using the malicious creations of dark web coders. One particular crypto-malware variant has the audacity to pretend even to be helpful and nice to you while using AES and RSA encryption algorithms to encode your files. Users who have been affected are helpless until they pay the 300$ file. However, experts strongly recommend NOT to give the ransom money to the cyber-crooks and look for a free alternative, such as the ones suggested below. Short Description Encrypts the user’s files and pretends to be a helpful assistand asking for 300$ in the first 3 days and 150$ each day after the deadline for paying has expired. Symptoms The user’s files are encrypted with an added “.enc” file extension. 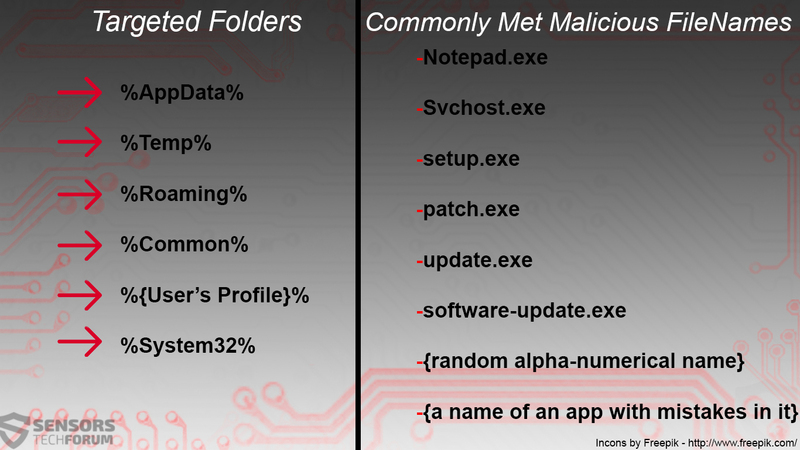 Distribution Method Via malicious URLs and payload carrying executables. User Experience Join Our Forum to Discuss Cryptohasyou. Containing an Exploit Kit or a Trojan. Containing a script that redirects to a malicious URL, which contains the ransomware. Hands-on approach (physical access to the device). Via other malware or PUPs currently residing on your computer. This devastating ransomware may pretend to be a helpful assistant with the problem of the user, but it uses two of the most powerful encryption algorithms which contain too many zeroes and ones for even powerful computers to decrypt. These files suggest that the ransomware does not look for specific pictures but is more oriented towards executable files, modules, configuration files, temp files and visual basic scripts. This is especially devastating because it may also target the programs which users take advantage of to do their work on a regular basis. → “READ THIS. IT IS VERY IMPORTANT. Hello, Unfortunately for you, a virus has found its way onto your computer. The virus has encrypted all of the files that exist on this computer (pictures, documents, spreadsheets, videos, etc.). There is no way to restore the files back to their original forms without the unique decryption programs. Fortunately, we can help. We have your unique decryption program. If you value your locked files and want to restore them, we can provide you with the decryption program and any assistance you need for the price of $300. Want us to fix all of your files? Have a question? Want to send us a complaint(or compliment)? We will get back to you with haste. If you want proof that we can decrypt your files, send us a single encrypted file in an email and we will return it to you fixed and in original condition! You must respond to this in a timely fashion if you want your original files back. The initial price of our service is $300. For every 3 days that pass, the price of our service will raise by an additional $150. We will know how long it has been. Remember, we are your only option. If you consult an IT expert, they will tell you the same thing. [+] It is impossible to recover the original files without our help. [+] During filesystem encryption, all affected files had the original data overwritten with the encrypted data several times over to prevent recovery. [+] If the extention of an encrypted file is not “.enc” when the decryption program is run, it will not be decrypted. This cattish message points out to the level of audacity that the people behind this ransomware variant have reached. Regarding the removal of this ransomware, it is advisable to focus on using the step-by-step removal instructions which are outline after this article. If you want to recover your data, unfortunately, there is no viable solution to do this for free. However, you may attempt restoring the data or using other methods to find the key, illustrated in Step 3, in the 2nd section below. Threats such as Cryptohasyou may be persistent. They tend to re-appear if not fully deleted. A malware removal tool like Combo Cleaner will help you to remove malicious programs, saving you the time and the struggle of tracking down numerous malicious files. Threats such as Cryptohasyou may be persistent on your system. They tend to re-appear if not fully deleted. A malware removal tool like SpyHunter will help you to remove malicious programs, saving you the time and the struggle of tracking down numerous malicious files. Note! Your computer system may be affected by Cryptohasyou and other threats. SpyHunter is a powerful malware removal tool designed to help users with in-depth system security analysis, detection and removal of threats such as Cryptohasyou. 1. Install SpyHunter to scan for Cryptohasyou and remove them. 2. Scan with SpyHunter, Detect and Remove Cryptohasyou. Ransomware infections and Cryptohasyou aim to encrypt your files using an encryption algorithm which may be very difficult to decrypt. This is why we have suggested several alternative methods that may help you go around direct decryption and try to restore your files. Bear in mind that these methods may not be 100% effective but may also help you a little or a lot in different situations. Note! Your computer system may be affected by Cryptohasyou or other threats. Remove Cryptohasyou by cleaning your Browser and Registry. Fix registry entries created by Cryptohasyou on your PC. Combo Cleaner is a powerful malware removal tool designed to help users with in-depth system security analysis, detection and removal of threats such as Cryptohasyou. Step 5: In the Applications menu, look for any suspicious app or an app with a name, similar or identical to Cryptohasyou. If you find it, right-click on the app and select “Move to Trash”. Step 6: Select Accounts, after which click on the Login Items preference. Your Mac will then show you a list of items that start automatically when you log in. Look for any suspicious apps identical or similar to Cryptohasyou. Check the app you want to stop from running automatically and then select on the Minus (“–“) icon to hide it. Remove Cryptohasyou – related extensions from your Mac’s browsers. A pop-up window will appear asking for confirmation to uninstall the extension. Select ‘Uninstall’ again, and the Cryptohasyou will be removed. When you are facing problems on your Mac as a result of unwanted scripts and programs such as Cryptohasyou, the recommended way of eliminating the threat is by using an anti-malware program. Combo Cleaner offers advanced security features along with other modules that will improve your Mac’s security and protect it in the future. Hey !, I found this information for you: "Remove Cryptohasyou Ransomware and Restore .enc Encrypted Files". Here is the website link: https://sensorstechforum.com/remove-cryptohasyou-ransomware-and-restore-enc-encrypted-files/. Thank you.